On the 5th of June, 2014, a team from Kalki Avatar Foundation, India held a very successful programme at the Durga Maa Temple in Chhatarpur, Delhi. The programme was arranged by Mr Pandit Ram Lakhan Mishra Jee, the manager of the temple committee. 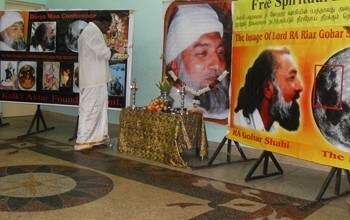 More than 150 people were given the blessings of Kalki Avatar Ra Gohar Shahi. 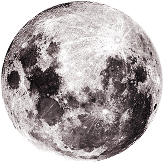 Aspirants were granted the simran of ‘Ra Raam’ and were shown the divine signs on the Moon, Sun and Maha Shivling (Holy Black Stone). Near the end of the programme, members of our team distributed leaflets depicting the image of Kalki Avatar Ra Gohar Shahi for aspirants to take home. Overall, our message was very well-received by people at the Durga Maa Temple.